Take amazing videos ready to share on social media, with the Kaiser Baas X200 Action Camera. Whether you're abseiling, mountain biking, or exploring landmarks, you can record every second of your adventure in detailed Full HD. Your viewers will see clear, smooth first-person footage that accurately captures every thrilling moment. Wherever you go, whatever fun activity you have planned, take your Kaiser Baas X200 Action Camera with you. Included with the camera is a range of mounts and tools to help you record in a whole host of scenarios. The bike mount keeps your camera sturdy on the handlebars as you cycle, while the adhesive pads let you attach the camera to a surface for stable shooting. Thanks to a tripod mount at the base, you can take perfect stills and beautiful time lapse footage without any motion blur. And with a waterproof case included, you can explore coral reefs and underwater wildlife while protecting your camera from the elements. 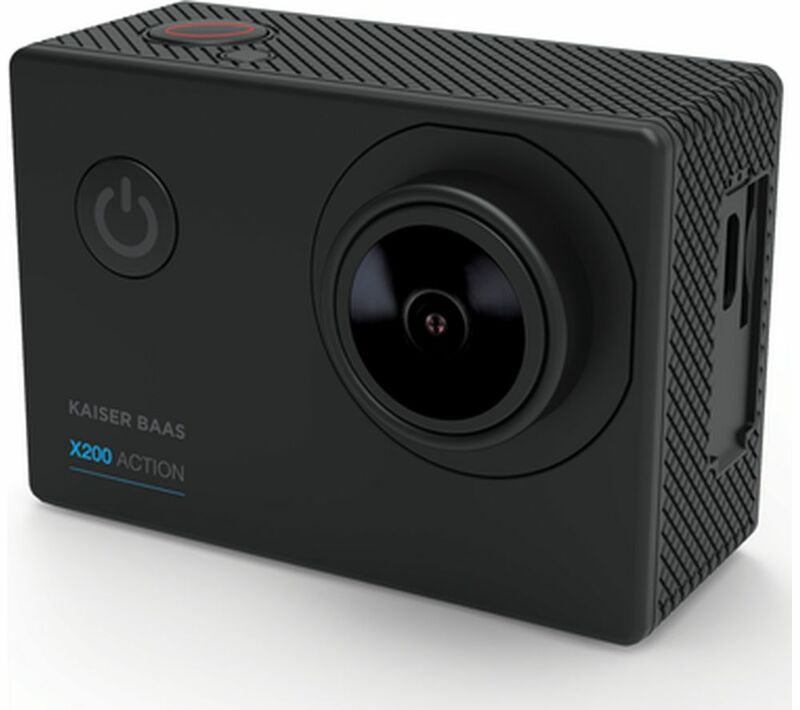 Getting to grips with your new Kaiser Baas X200 Action Camera is simple. With just three buttons, you're able to easily navigate through a range of shooting options. The 2” screen lets you change settings, as well as preview footage and photos before sharing with friends.